The opportunities and experience you can gain on a practical activity, both internationally and domestically, have no equal. As a double-degree student, I was fortunate to participate in two PACE (Professional and Community Engagement) activities at Macquarie – one overseas and one locally. 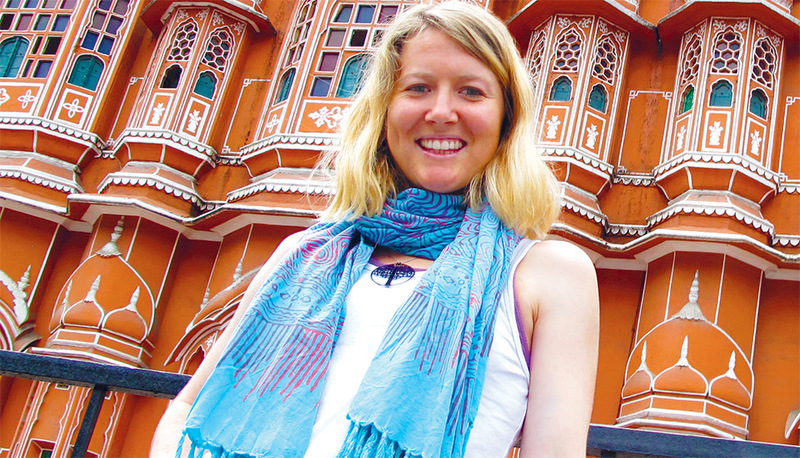 My international placement was in India, based in Delhi and Jaipur at a non-government organisation called Pravah. Pravah works towards reducing social and economic inequities through the promotion of active youth citizenship. It works with young people from privileged backgrounds in a series of deep self-awareness workshops that take students on a journey of self to society action. My role was to co-facilitate workshops with young people and help with information days at universities. A highlight was attending an ‘exposure camp activity’ where children from private schools and slum orphanages spent the day together learning about one another and breaking down social barriers. My local placement was carried out in Sydney at Ku-ring-gai Council. I designed, developed and delivered workshops promoting health and wellbeing for a group of Year 10 students undertaking work experience. The workshops were held each day over a week in conjunction with activities that promoted environmental sciences. Collectively, the PACE activities I undertook have changed my career aspirations. I now see the potential of young people from privileged backgrounds to be powerful vehicles for making significant and meaningful contributions to society. I am compelled by health promotion across society and working towards enabling communities to live healthier lives in a more cohesive way. Since I graduated, I’ve started my career with Red Earth, an Australian organisation that connects students with remote Indigenous homelands and communities. I’m able to contribute to the youth development space as well as Indigenous health and wellbeing – particularly in remote communities and homelands. I continuously lean on my PACE experience and resources for my current job. For instance, all of this week, I have been developing an ethical component to the volunteer project I work with, and I have relied a lot on the PACE program to inform this. PACE has just been a gift that keeps on giving. PACE (Professional and Community Engagement) is about far more than helping to advance your career ambitions. It also encourages and supports you to make a genuine difference in the community.